"There’s something about voting that makes you very real," Evans said. "The United States had to acknowledge that I’m a real human being and I’m here." Over the past 15 years, voting has become increasingly difficult for people such as Evans. A recent PRRI/The Atlantic 2018 Voter Engagement Survey found 5 percent of Wisconsinites surveyed said they or someone in their household was told they lacked the proper documentation to vote. Full disclosure: The Joyce Foundation is a funder of the survey and also is a funder of the Wisconsin Center for Investigative Journalism’s coverage of democracy issues. Wisconsin’s photo ID requirement passed in 2011 and was prompted by Republican concerns about ostensible voter fraud. But that justification has been discredited by several subsequent studies and rejected by a federal judge who in 2016 labeled concerns over voter fraud "mostly phantom." In Wisconsin, voter ID enjoys strong support from the public. Marquette Law School polls taken between 2012 and 2014 showed between 60 and 66 percent of Wisconsin residents surveyed favored requiring a government-issued photo identification card to vote. It should be noted that among those answering the poll in 2014, ninety-nine percent said they had a valid photo ID to vote. "We’re surprised it’s taken this long," she said. "You used to be able to corroborate someone’s address," Eicher said, explaining that in the past, students who obtained a bill with their addresses on it could sign an affidavit stating their roommates resided at the same address. "Each bill is slightly different," said Bottari, "It’s not a cookie cutter bill. Each state did something slightly different to screw over certain groups of people. So, for instance, students were uniquely screwed in Wisconsin." Evans, who had trouble voting in the presidential election, had previously advocated for herself and other homeless, runaway or foster students at UW-Madison who did not have stable mailing addresses. In collaboration with the campus’ Working Class Student Union (WCSU), Evans created a program in which these students could have mail sent to the WCSU office — an address where Evans received her mail for four years. She arrived at the polls that day to vote with her Wisconsin driver’s license, proof of enrollment at the university and mailing address. Poll workers hesitated, noting that her address, 333 East Campus Mall, was the same as the WCSU office and the polling place where she was trying to vote. "I mean, that’s an absurd hurdle to clear," said Matt Rothschild, executive director of the Wisconsin Democracy Campaign, a nonpartisan political watchdog group. "(The voter ID law) made it harder for people to cast a ballot. Making it much harder to vote is about as anti-democratic as you can get." Gail Juszczak of Lake Mills, said she believes the voter ID law is aimed squarely at people likely to vote Democratic. 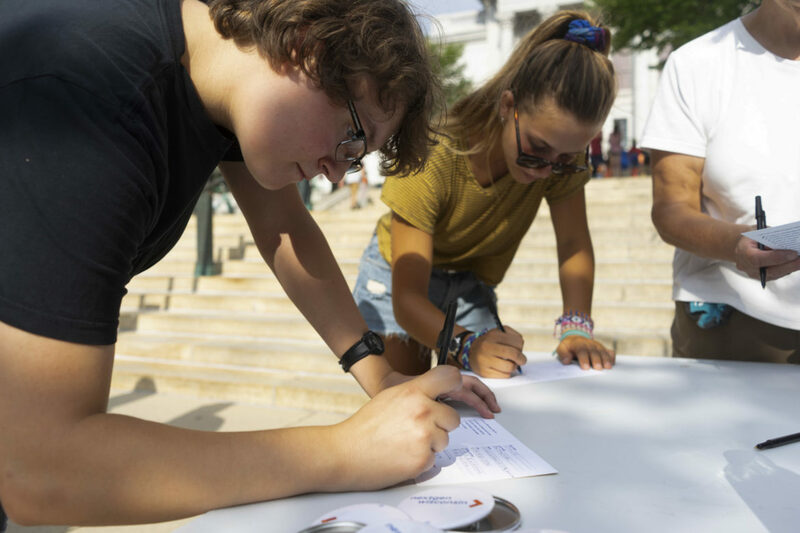 "I think that the whole vote and the whole idea of changing this is to exclude certain people from voting," said Juszczak, interviewed outside her polling place during the Aug. 14 partisan primary election. "And I think it’s definitely hurt the Democratic Party, particularly because more of the Democrats are people who aren’t as able to show identification as clearly, or elderly people or disabled people. So I think it’s definitely hurting some people." "A few years ago, we never had to show ID when we went to the polls to vote," Johnson said. "You just went in, as long as you were a registered voter and said your name, your address, and you voted. Now, it’s a task. It should not be a task." 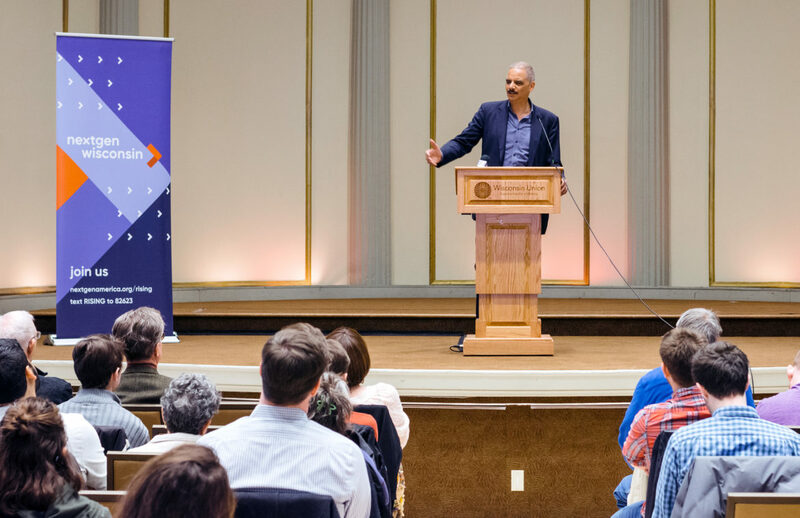 Johnson’s presentations on voting are often aimed at vulnerable communities such as the homeless and those lacking the foundational documentation required to vote. But Johnson, who said it has taken up to six months for people to get the proper identification, jokingly refers to the voter ID law in Wisconsin as an "equal opportunity law" because of it affects everyone. That includes senior citizens, who may have moved into Wisconsin to be closer to family and might not be sure of just how the law works. 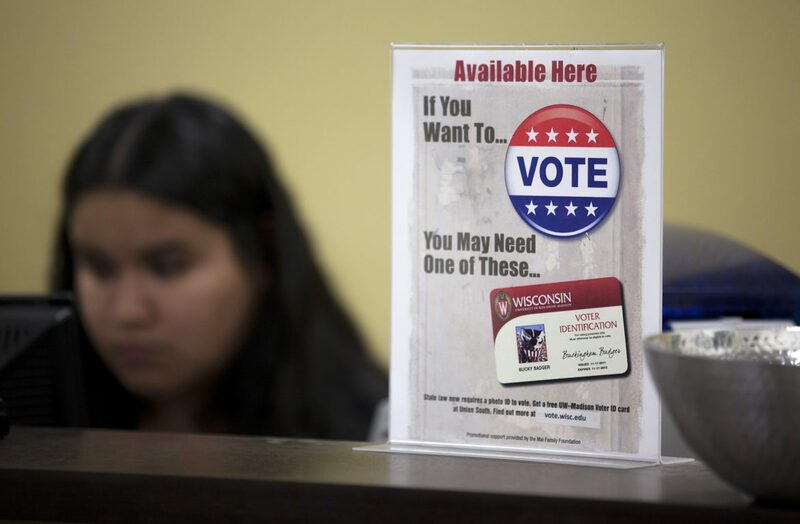 If they do not have a state-issued driver’s license and do not know that they need another form of identification, "many don’t discover they have a problem until they try to vote," said Gail Bliss, a senior liaison for the League of Women Voters in Dane County. One fix for older voters in that situation is obtaining a permanent absentee ballot, which does not require a photo ID and provides automatic absentee ballots for future elections. Bliss called it the "saving grace" of Wisconsin’s voter ID legislation. Bliss said the league created flyers publicizing the service to pass out to Meals on Wheels recipients. "Her family had actually contacted the Wisconsin Elections Commission and knew she should be permitted to cast a regular ballot, but the chief inspector at her polling place would not permit it," Fullin said in an email. Said Johnson: "Voting should be one of the easiest things you can do. And it allows you to participate in democracy. So when you put up problems like the voter ID law, people say, 'Forget it, I’m not going to vote.'" Mayer’s conclusion was challenged by a free market, limited government legal group, which contended there was no proven linkage between the photo ID requirement and the election results. Will Flanders, research director at the Wisconsin Institute for Law and Liberty, said the study "pushed a narrative" of voter suppression but did not actually prove it. But, with the 2018 general election approaching, stories like Evans’ show how easily confusion about voting can jeopardize voting. If it were not for her own efforts to help homeless students, Evans said, she herself might not have been able to vote. "I ended up relying on (activism) to access basic human rights, like the right to vote," Evans said.